lllustration of different food quantities with the same caloric value, from "The Wonders of Diet"
Tomato juice is the best cure for a hangover. Celery and fish cannot be eaten together. Meat makes you sensual and belligerent. Six-day bicycle racers need beefsteak. Cream or milk should not be eaten with lobster or pickles. Fruit juice should start the breakfast. Soft foods will make your teeth decay. Raw eggs are more digestible than cooked eggs. Clear coffee is less harmful than that sugared and creamed. Excessive meat eating causes high blood pressure, rheumatism, gout. Belching means indigestion, bicarbonate of soda cures it. What about a link to a high-res photo? It looks from here like it's an illustration of caloric value, not recommended diet. If that's the case, I imagine there are strikingly similar visualizations in today's dietician textbooks. "The heat given off by food is used in maintaining the body temperature and supplying energy to the muscles. For this work the average daily requirement is around 3,000 Calories, and then since a pound of butter will produce 3,600 Calories, any one of the food quantities shown in this chart would more than supply all the daily heat and energy needs of most people. The quantities, however, are only approximate and will vary according to the weight and fat content of the particular …, chop, cantaloupe, or bunch of celery, etc, you may happy to buy. The amount of fat in food is what largely … in heating power, since, when burned in the body, one gram of fat will produce more than twice as much heat (3.3 Calories) as one gram of either protein or carbohydrate (??? Calories). Today Calories are considered a crude guide to diet simply because the heating power of food often has little to do with its nourishing power." The heat given off by food is used in maintaining the body temperature and supplying energy to the muscles. For this work the average daily requirement is around 3,000 Calories, and thus, since a pound of butter will produce 3,600 Calories, any one of the food quantities shown in this chart would more than supply all the daily heat and energy needs of most people. The quantities, however, are only approximate and will vary according to the weight and fat content of the particular tomato, chop, cantaloupe, or bunch of celery, etc, you may happen to buy. The amount of fat in food is what largely determines its heating power, since, when burned in the body, one gram of fat will produce more than twice as much heat (9.3 Calories) as one gram of either protein or carbohydrate (4.1 Calories). Today Calories are considered a crude guide to diet simply because the heating power of food often has little to do with its nourishing power. It's amazing the sort of junk that people have said over the years about health. It's only looking back that we realize how stupid it is to say that smoking is healthy but that's really what they thought back then. 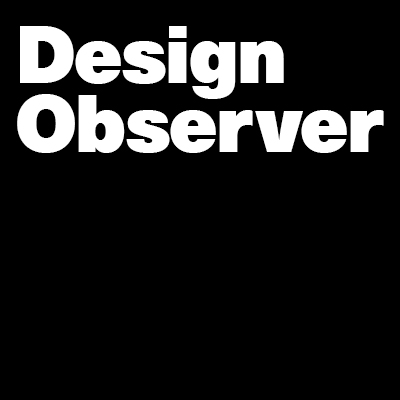 Design Observer was founded by Michael Bierut, and Jessica Helfand, and is published in partnership with AIGA. To ensure we provide valued insight and opportunities in the future, we’d like to hear about where you find the most benefit and where you see opportunities for change. Design Observer reader’s favorite posts of 2018. Move past that annual gift giver’s creative block with the help of the people who know. Announcing the 2017 50 Books | 50 Covers selections. A gallery of pop stars from the pop art era.